In its rawest and simplest of forms, a business plan is a guide; a roadmap of sorts that allows entrepreneurs to clearly outline their business goals and how they intend to achieve them. When you think about it that way, you will quickly realize that every entrepreneur has a business plan in one form or another. The problem often comes when people start thinking of a business plan as a long, boring, academic-type document that can only be written and used by Ivy League graduates who truly understand corporate mumbo-jumbo. Yes, technically, a traditional business plan has a strict set of rules and a template to follow. That, however, does not mean that you are doomed to fail if you cannot clearly articulate what your cash flow statement is in the financial plan section. No! The best types of business plans are dynamic. They change with time as you get to learn the market, your own business, and indeed, your very self. While it is important to learn how to write a business plan, the truth is – only a small subset of businesses still need to go through the formal process and follow a strict template. Businesses that are keen to attract investors, especially from the formal corporate or financial sector, should absolutely learn how to write a business plan in its strictest fashion. The rest only need to start simple and grow it organically as the venture progresses. Not every business needs to have a business plan, although, it is recommended that every business has a roadmap to guide its progression. If you are a freelance writer who has a copywriting business that makes a little extra cash on the side, then you can probably skip that whole business-plan-writing debacle without suffering too much damage. 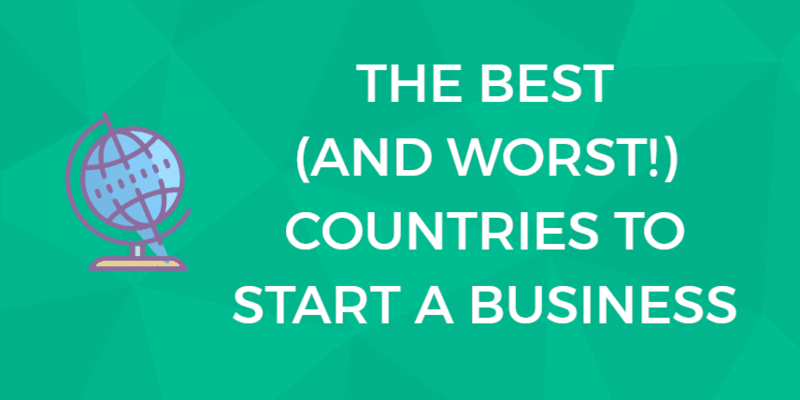 However, if you intend to start up a corporation that may someday go international, employ hundreds of people, and get financial backing from the World Bank (or someone as financially strict), then you absolutely need a business plan. Startup businesses: Startup businesses need this strict structure to ensure that everything is in place before breaking ground. From sales projections to management hierarchy and an expense budget, without all these things being broken down into achievable milestones and tasks, a startup can very easily become rudderless and mismanaged. Existing businesses: The right business plan can be a critical instrument of growth for an existing business. Whether you want to take on more investors or structure your brand expansion, documenting and articulating all the necessary steps and projections will give you an excellent idea of how to do that and if it is actually achievable. Entrepreneurs with business partners: Your business plan will clearly define your agreement. It highlights the ground rules and keeps everything fair among partners. 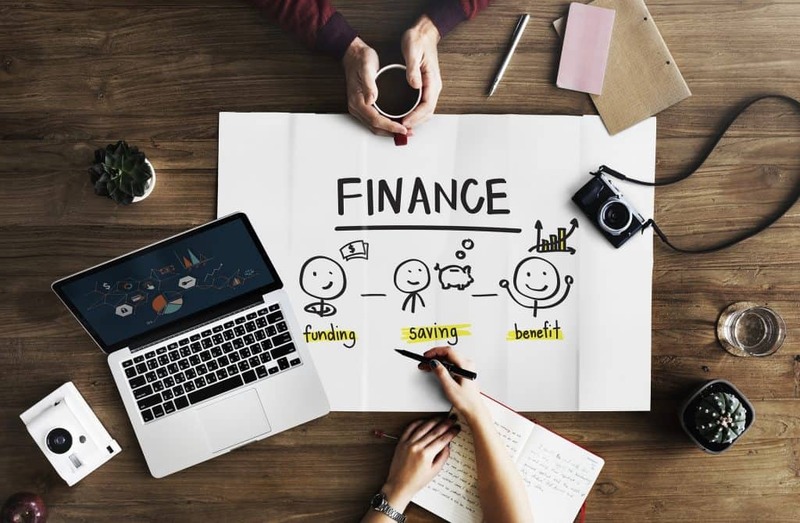 Entrepreneurs looking for financing: Whether you run a small home business or intend to start a huge conglomerate, if you want anyone, anyone at all to invest in that business, you must have a business plan. This will be your selling point. It will show them how you plan to use their money, and, depending on how well-thought-out the business plan is, give them the confidence that you can actually deliver. But it’s not just about accountability and direction; several other benefits come with having a solid business plan that every entrepreneur can enjoy. Having a business plan in place is a surefire way to convince investors to align their interests – and funding – with your enterprise. A well-crafted business plan gives the appearance of seriousness, professionalism, and a dedication to hard work in the years to come – all of the things that investors want to hear and see before they invest their precious dollars in your company. Serving as a tool to clearly outline and delineate your company and its objectives, having a business plan benefits your employees and partners while also creating confidence with investors by showing them that they will definitely see a return on their investment with you. When business planning is performed correctly, the constellation of dots that comprise your venture come together in a cohesive fashion that ultimately paints a picture of your company, its goals, and its pathway to success. A business plan is an excellent tool for entrepreneurs, startups, and small businesses. It helps them focus on their distinctive identities within a competitive market, sharpen their focus on their intended audience, and strategically tailor their product and service offerings to match this audience. Many new businesses make the mistake of jumping into all tasks with vigor and enthusiasm but without planning and strategic prioritizing. This often results is a haphazard slew of unfinished tasks, a chaotic view of goals and priorities, and a confusing, stressful business environment that is difficult to straighten out. A business plan clearly delineates and characterizes goals, priorities, strategies, and safeguards to ensure your venture gets off the ground and into fruition. By clearly indicating (via a business plan) where your time, resources, and energy are allocated, you have an easy protocol to follow for guaranteed success. Bumps in the road are inevitable with any new business venture: things will not always go smoothly. Some endeavors will fail, tasks may need repeating, and priorities may need reorganizing. However, having a business plan in place is an excellent way to deal with the occasional failure or mistake and to move on strategically – smoothly and confidently. Conversely, businesses without plans in place can often become overwhelmed by failures that occur within the business and may potentially fail due to the lack of provisions and safeguards put in place. With good planning comes clearly set expectations, results tracking, and goal-setting. A business plan is an essential apparatus that requires business owners to conduct regular reviews of their business, where it needs improvement, and where more time and resources need allocating. Accountability is broadened by requiring business owners to “check-in” on their operations on a daily, weekly, or monthly basis. This ensures they are as educated and informed as possible with respect to their business and its strengths and weaknesses. Business plans are absolutely necessary to ensure the proper management and handling of cash and other resources. Clearly articulated in the plan, cash and resources are handled, deposited, and invested by specific parties only. Additionally, inventory concerns, the purchasing of assets, and debt repayment responsibilities should be explicitly delegated to the appropriate company employee or officer to limit future problems and misunderstandings. Strategic alignment is an imperative concept in the business world. Every business has its niche product or service. For example, TJ Maxx sells discount clothing to budget-minded consumers, Sony sells top-quality electronics products to discerning buyers, and Five Guys sells premium burgers for food lovers seeking hot, fresh, and fast food. All of the companies above have successfully aligned their product and service offerings with their intended audience. Does your business plan clearly express the intended audience you are trying to serve? And do your products/services cater explicitly to this client base? With strategic alignment, the audience is precisely matched with your products and services, thus resulting in future goal-setting and business practices that specifically correlate with that paired relationship. Without articulating your business’s strategic alignment goals, the products and/or services you are selling may not be precisely marketed to your intended audience. Therefore, buyers may not make the connection that your company is associated with what they desire to purchase. Functioning to save future frustration, the strategic alignment methods put in place within a business plan remove any ambiguity and describe who and what your company is, the products and services it offers, and the customer base it caters to. A well-crafted business plan articulates the milestones that your company needs to work toward and the achievements that you want to see within your company. Milestones can vary depending on the type of business. For example, common milestones can include things like reaching a sales goal, hiring the perfect manager, opening a second location, and much more. With a great business plan in place, you can set clear milestones, which, despite their range and scope, will have you working toward the goals you set out to achieve from the inception of your business. 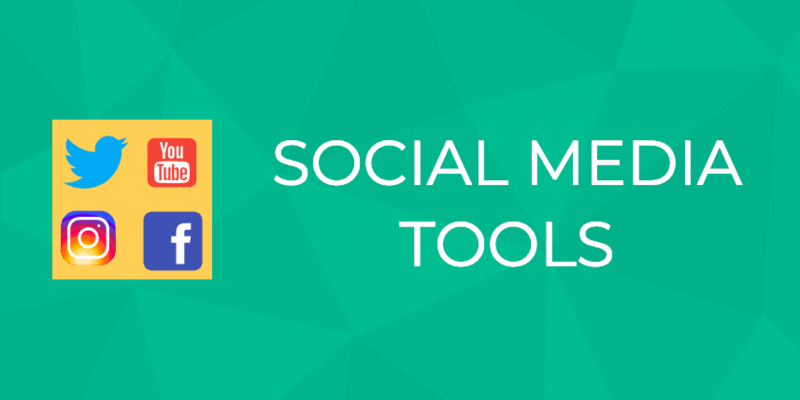 Metrics may seem like a confusing concept, but it is actually relatively simple. In layman’s terms, metrics involve the careful tracking of numbers and figures associated with your business in conjunction with any performance measures you have in place. This tracked data is then scheduled for analyzing on a weekly or monthly basis. Figures that you ought to be looking at include sales, expenses, and any costs relating to business trips, phone calls, website operation, attending seminars and conferences, as well as anything else that can be considered a business expense. Business plans should always have schedules to mandate the consistent checking and tracking of all relevant business elements, from money in, money out, milestones, the achievement of goals, and anything else pertaining to the business. Owners need to keep on top of their business operations to have an expert view on everything from the ground up. Putting regular reminders in place to check on various aspects of the business helps make owners aware of achievements and any problems requiring resolution, and allows them to track growth over time. Just as there are guidelines for writing a perfect business plan, there are several essential rules that should also be observed. While these rules are not exactly stipulated in any business plan writing template, they can help make things clear and easy to digest. These rules are really about making things simpler for those who will be reading your business plan, i.e. investors, business partners, employees (sometimes), and business coaches. Keep it short and concise: There are two main reasons why this is important. 1) Not a lot of people will read a 400-page business plan. They will, however, strongly consider reading a 40 pager. 2) Your business plan should essentially be a guideline on how you run your business. This means that you will need to use it and refer to it more often than not. If it is a hundred pages long, even you wouldn’t want to keep reading through it, would you? Use simple language: As much as sounding polished and technical will make you look knowledgeable in some circles, try to think of the audience. While bankers and other financial players may be used to reading legalese and tough technical language, most people are not. If you intend to use your business plan as a guide to running your business (and you should), then use simple language in it. That way, even you will enjoy reading it from time to time as well as refining it. Don’t get bogged down with technicalities: A traditional business plan would usually have been written by a business expert. However, most entrepreneurs aren’t experts in their field – at least not yet. As such, they feel as though they cannot comprehensively write an excellent business plan that can attract investors. 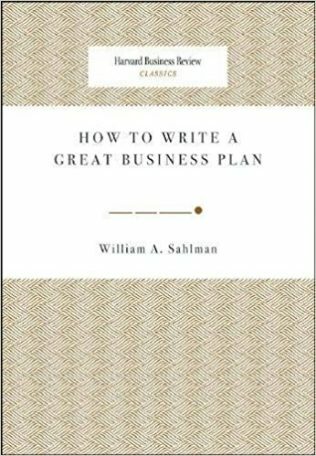 But to begin with, do not worry about writing an award-winning business plan. You can start with a one-page business plan and build on that as you learn your business. Now, let’s focus on what crucial components will make up your well-written business plan. There are specific steps to be followed in order to build an impressive business plan that is not only well-written but well-structured, well-researched, and has realistic goals for the business to follow. What you need to remember is that the right kind of business plan is a document that you will regularly come back to as you try to build and grow your business. It is a document that will evolve and grow as you learn more about running your business and how to thrive in your own market. 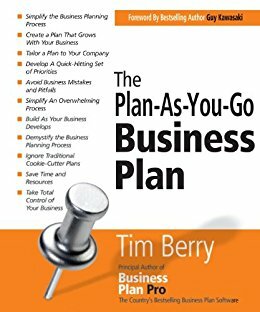 Comprising of ten essential sections (plus the appendix), a successful business plan outlines everything a business needs to set goals, cultivate the enterprise in a way to achieve those goals, and how to make those goals readily and easily identifiable to each employee or reader of the business plan. You will be better placed to write a comprehensive executive summary once you go through the other sections first. This is because the executive summary is exactly what its name suggests: it’s a “summary” of your business. It only makes sense to write it once you have gone through the rest of the document and process. To give you an idea of just how important this section is, some investors only ask for the executive summary as opposed to the entire business plan. Ideally, this section should be able to act as a stand-alone document which gives all the highlights of what will be covered in the detailed plan that follows. Writing the executive summary is simple. Start by briefly informing your reader (or employees) about your company. Then use the following step-by-step format for a simple, yet effective summary that states everything necessary for your executive summary. Write the above points clearly and in a confident fashion. One day, an investor may want to look at your business plan before deciding to fund your business. A strong executive summary is one of the most powerful elements you can provide investors with to inspire their confidence. It’s important to note that the executive summary is the first part of the business plan; however, as mentioned previously, ensure that you write it last after everything else is completed. Doing so enables you to look back over the document you have created, picking from the essential highlights in the material to provide an excellent and coherent initial statement for the front page of the document. The executive summary not only educates and informs but also reinforces a company’s ideology concisely and comprehensively. Cultivating the identity of a business via the business plan begins and ends with the executive summary. A business description simply describes the business and its operation but also informs the reader, in layman’s terms, what the company sells, to whom they intend to sell, and all other pertinent information. This includes information about the business’s legal structure, management organization, a history of the company, company marketing endeavors, and the specific strategies put into place to successfully integrate the company’s product or service into the marketplace. The business description is intended to inform and educate any reader or employee in a transparent, easily accessible manner by providing the most important facts about a company in a well-written statement. Start your business description by writing a few brief sentences that give a concise view into the essence of the company, its services and products, its current position within the market, and the future vision for the company and its employees. Also worth adding is the date the business started, whether or not the business has a historical presence or whether it’s a brand-new contender in the market. Depending on what type of business structure you have, ensure that you write out all the relevant personnel involved, including the owners, names of various principles or investors, and any other partners involved. Also, make sure to include a brief biography stating the person’s position and interest in the company and their presence within the company. After discussing the business structure, move on to describe the services and products offered by the company, its intended audience, how supply and distribution are handled, any competitive advantage the company holds over rival companies, and how those advantages will work to ensure its future economic success. Conclude your business description by describing exactly how the business will be profitable and why customers will buy the products and services your business offers. Remember that the statements should be brief – in total, your business description should not exceed two pages. Your business description should explain your venture exhaustively. It should cover everything anyone reading your business plan would need to know about your business. By the time they are done reading your executive summary and business description, anyone should be able to tell you what your brand will stand for and do in its niche. To successfully write a comprehensive business environment analysis, you first must understand what it is all about. For example, do you understand your business model? This is what defines your company’s core strategy and will generate economic value. Essentially, it shows how you’re going to make money! That is the very first thing you need to understand and articulate about how your business will work. Every business operates in a specific environment – that is why we have different niches. What would work for a warehousing business wouldn’t necessarily work for an IT startup. So every business model is designed and executed in a specific environment conducive to its success. Thoroughly understanding the kind of environment that best suits your business model will allow you to gradually evolve as the business grows, coming up with more competitive business models to ensure your survival. Analyze the market forces: Assess the dynamics and challenges that affect your niche and market. There are several questions that you will need to answer here (market issues, market segments, needs and demands that your customers have, switching costs – basically, how easy it is for your customers to find similar products; your revenue attractiveness). Industry forces that shape your niche: This involves studying your competitors, new entrants into the market, other products (similar or otherwise), and any other stakeholders who could shape and shake your niche. Key trends: This is where you study the past, current, and future trends to try and predict how the market will behave. You need to study technology trends, regulatory trends, social economic trends, and societal and cultural trends. Macroeconomic forces: This is where you try to consider all the large-scale economic factors that could affect your business in the future. These include global market conditions, the capital markets, commodities, and other resources. Statistics show that about 50% of all new U.S companies tend to fail within the first five years. One of the main reasons for that is that they fail to understand all the forces, both internal and external, that impact their operations and business in general. A business environmental analysis accomplishes the all-imperative task of producing practical information to a company’s owners and upper management personnel. They can then analyze the information to successfully identify that previously implemented strategies, plans, and protocols are working advantageously, while also identifying the things that are not working well or aren’t benefitting the company. A company’s business environment involves an array of internal and external components that not only influence how business matters are conducted but also how all of those components piece together to produce a successful enterprise. Internal elements commonly include facets of a business’s specific culture, management methodology, and organizational structure. The internal workings of a business are of critical importance due to their cumulative effect on the company, its employees, and its position as a formidable company poised for success. To illustrate further, a company relies heavily on its employees and their level of performance and skills. Employee welfare is often relegated to the backburner for many small business startups as owners are focused on the more subjectively crucial matters of profits, advertising, and product/service promotion. In contrast, companies that invest in employee welfare not only demonstrate a keen knowledge of business success on a micro and macro level but are also providing an environment that is conducive to enthusiasm, happiness, comfort, and ultimately, increased productivity. External factors such as the ones detailed above are of crucial importance for businesses. With an ever-evolving world, businesses are tasked with staying abreast of multiple environments that are shifting on a continuous basis. Whether it is the introduction of a new law that could have profound negative or positive impacts on the company, a gradual shift in the consumer base that suddenly explodes into a completely different type of customer with new needs and desires, or even adhering to new technologies in order to stay relevant and competitive – businesses must be able to move seamlessly within the many shifting changes. These changes ultimately dictate the overall welfare of their enterprise with respect to productivity, profitability, and more. Companies ought to implement a systematic process that analyzes the many external elements that interconnect and make up their collective business environment. Implementing a systematic approach simply means that a systemized schedule needs to be put in place with specific company personnel (or owners/upper management) tasked with taking stock of the many different “floating” elements affecting their external environment. Whether the systemized process is implemented on a weekly, monthly, or yearly schedule is largely unimportant because the overall goal remains the same. The goal is to establish consistency when overlooking and analyzing the external forces affecting the company and how those forces ultimately determine what business strategies need to be adopted, removed, improved upon, or modified. There is an array of tools that serve to help businesses construct a constant source of highly useful data about shifting industries, consumer preferences, and the overall market at large. This is in addition to the competitive forces at play that are all related to garnering a factual and effective analysis of the business’s overall prowess and welfare. Among the many tools available are the highly recommended apparatuses that provide in-depth analyses into the shifts of the industry, competing forces, the current market, and the projected market. An analysis of the specific industry you are operating in should be performed prior to drafting your business plan. Conducting an industry analysis provides crucial data that can be incorporated into a business plan to describe the strategies and methods your company will be undertaking to successfully perform in the market, and how it ultimately conducts its business to succeed in this industry. The important data provided by an industry analysis serves to provide an in-depth look into the various opportunities and risks present in the current and future markets. This is of particular value for a burgeoning company preparing to enter their products and/or services into the marketplace. Through an industry analysis, businesses are given the ability to develop optimum strategies that take full advantage of the multitude of opportunities they are presented with, while also minimizing or mitigating identifiable risks. In this initial step, you will want to provide a brief overview of the industry. Succinctly describe the history of the industry, the locale(s) the industry services, the consumer base that it caters to, and the products and services that it offers. If you desire, you can also include information which details historical factors that have changed the market, in addition to any market trends (example: ongoing rises and falls over the decades). While you may start to delve into the concept of trends in step one of the industry analysis, you can be more in-depth about this when writing step two. In this step, you will want to thoroughly review proven trends, growth patterns, and market declines that exist within the industry and related market. This step enables your business to identify the defining elements of the market and industry while ensuring that it’s able to move smoothly with these shifting elements as they change over time. Identify major factors that influence the industry as an overarching entity. Common inclusions for this step include regulatory (and deregulatory) policies put forth by the government, new laws and legislation, and the competitive practices employed by other businesses in your field. Make a well-founded and thoroughly educated prediction using data gleaned via careful and comprehensive research. Your forecast of the industry and your own company can be detailed in long- and short-term descriptions. Confidently describe how your business will position itself within the industry and how it will take the fullest advantage of the opportunities afforded by the industry. While most industry analyses take up one or two pages of the entire business plan, if you are writing a more complex business plan then you might need to use more pages. One of the best ways to ensure that everything is thoroughly covered in this section is to use charts and tables with useful yet compressed data. How is my company different from my competitors’ companies? How does my company differ from other businesses in general? What are the advantages my company holds over other businesses? What types of disadvantages are evident or present in my business? How does my product or service fare in comparison to competitors? The cursory questions we’ve listed will provide you with the answers you need to successfully complete this portion of your business plan in a succinct, meaningful, and strategic fashion. Upon obtaining the answers to the questions above, proceed to the step-by-step guide listed below. In this initial step, you will need to identify and make a list of your competitors. This list should not include a couple of competing businesses; instead, it should be inclusive of all the directly competing companies you are aware of. Your goal is to create a snapshot of all your competitors so that you can cultivate strategies that uniquely differentiate your company. This will result in a superior position in the market. Listing your competitors can be done in a paragraph format or even on a spreadsheet. Regardless of the format, though, the list should be inclusive of the following for each competing company: name, geographical location, products and services offered, their respective sales volume, market share information, pricing schematics, marketing strategies, and other important details. In paragraph form or spreadsheet format, list the weaknesses, strengths, advantages, and disadvantages of the all the companies on your list. 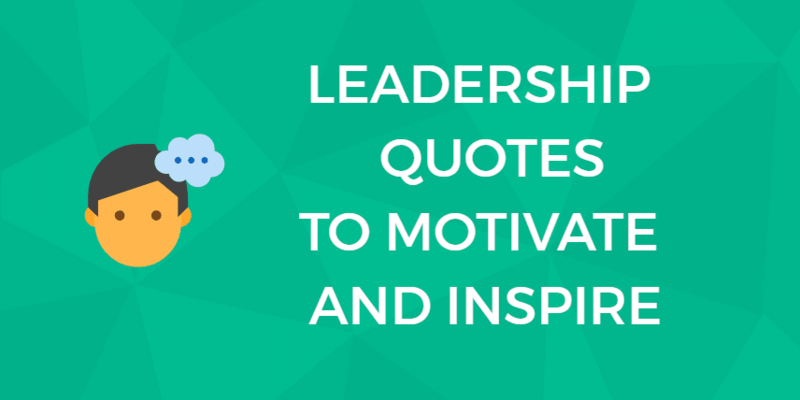 In this step, you will analyze the strengths and weaknesses present within your own company. Be frank about the present state of your company and the various aspects that can be improved upon. Also, detail how your company can use its strengths to its advantage, using them to boost its overall prowess, profits, and productivity. In step four you will describe your company’s position in the marketplace. Detail how your company can successfully compete for a share of the available market, taking into account all of the data you’ve previously garnered (the advantages, disadvantages, strengths, and weaknesses of your company and competing companies). The information detailed here will assist you in making intelligent marketing decisions and implementing business strategies. This is where you support marketing decisions and strategies with the data you’ve previously gathered through your marketing research, product feature comparison, competitive analysis, and industry analysis. Step five requires you to provide a detailed description of your business. You will want to include information such as how the framework of your company and its owners, management, employees, location, structure, products, services, and various resources will sit within the current and future market. An effective competitive analysis should be succinct yet detailed. You need not exceed the five basic steps comprising the competitive analyses. All the information that you need to include can be inserted into the appropriate step to provide a clear snapshot of your company’s positionality in the market related to that of your competitors. The importance of writing a competitive analysis cannot be emphasized enough. While your general business plan states how your business compares to others within the same industry, it is nearly impossible to make an accurate prediction of how your company, its products, and its services will fare in the marketplace in relation to the experience of your competitors. Constructing a careful analysis drawn from your research enables you to inject the relevant data and analyses to support the performance assumptions listed at the beginning of your business plan. As a reminder, the collective of competitor-related data and the research you delve into should all be procured well before starting your business plan. Ideally, you want to be well-versed in your competitive analysis and ready to articulate the data you’ve discovered to ultimately create a strong, confident, reasonable, and compelling business plan. The Market Analysis section of your business plan should be used to describe the specific market your company and its products/services are endeavoring to enter and occupy over time. Begin by briefly providing an overview of the specific products and/or services your company offers, while simultaneously drawing from the wealth of data collected earlier during your preliminary analyses. Your market analysis should offer a comprehensive overview of the marketplace as it is in the present day, along with the positions your competitors hold within the market. Also worth incorporating are any supportive and pertinent facts relating to your company’s marketing, distribution, and production efforts. What should go into your market analysis section? Industry description and general outlook: This is where you comprehensively describe your target industry so that anyone who isn’t familiar with it can understand the niche and see its growth potential. Target market: This is where you clearly describe who will buy from you. Market needs: Show what kind of needs exist in the market that your business will meet. Is there a gap you have identified that your products or services are uniquely able to bridge? Market growth: Using past growth data and statistics, show projections of potential market growth in the future while considering trends. Market trends: Shifting trends will largely affect how popular and useful your products or services will be in the future. In this section, you need to show that you understand the trends and have a clear picture of what the future holds. Market research and testing: This is where you show what kind of research you have done into your target market. This research should inform you and your investors where you stand and justify the kind of confidence you have in your future success. Competitive analysis: Always run a SWOT analysis before jumping in and asking others to put their money in your business idea. Barriers to entry: This section is really more of an assurance for your investors. They’ll want to know how difficult it would be for others to jump in and do exactly the same thing you are doing. Government regulations: These can make or break your business. Provide a description of the current market and industry you wish to enter. This section should include any pertinent information about potential shifts in consumer needs and demands, educated opinions about projected growth, the anticipation of trends or economic cycles, and overall product and service performance in the present and future. Describe your customers by detailing the product or service that satisfies their needs. Incorporate customer demographics within this section, clearly demonstrating how your company offers products/services that fall within this demography. In this section, you will need to describe how big the market is. Using your market research and data analyses, you will be able to detail if the market is growing or shrinking, and as a result, you can also pinpoint when and how your company will enter the market. Also, include within this section any research that supports your predictions for future growth and overall success. This step entails describing, in detail, the specific and various pricing structures practiced by your company, and in addition, those of your competitors. Taking the time to describe how your company’s marketing and pricing schematic compares to competing businesses results in a clear-cut view of how your company advantageously resides within the market, or conversely, what it needs to do to gain an advantageous position with the market. This concluding step involves a brief summation of the highlights and most salient points found within the competitive, industry, and marketing analyses to strategize market superiority and positionality. The idea is to have as clear a picture of your market environment and niche as possible. A company’s marketing plan is, in essence, the way in which the business is going to attract and keep customers to build a sustainable and loyal base. The marketing plan is paramount in alluring customers to purchase your company’s line of products and/or services. Crafting a snapshot of the products and/or services your company sells begins in the business environmental analysis section and is continued through the creation and development of your specific marketing strategies. It’s important to note that marketing strategies must always be inherently flexible, as they will require continual and periodic evaluation to determine if any improvements, reworking, or overhauls are required to stay in line with a shifting marketplace. What do your target customers need? What are your competitors doing to meet those needs? How can you make your customers understand that your service or product is the best fit when it comes to meeting those needs? The most crucial aspect to bear in mind is that you will have to review and update this part of your plan more regularly than almost every other section. That is primarily because the market environment is very dynamic, meaning customer needs and desires are constantly changing in accordance with trends and other forms of aggressive marketing. Be mindful of all the data you have collected about your competitors in relation to your company, and use this to write a decisive market penetration strategy which articulates your company’s plan for entry into the market. Keeping in mind the disadvantages that your company faces, detail a growth strategy that takes into account those weaknesses while building on the success of your products/services and their initial and respective introductions to the market. Discuss your company’s strategy for incorporating new and alternative methods of product distribution with the intent of increasing sales (example: by hiring additional sales staff; expansion via the development of new and additional retail outlets). Discuss in detail the strategies you are putting in place to facilitate the communication processes between your company and its customer base. It is in this section that your creativity and market research come into play. Your company’s operation plan is intricately linked with the management section of your business plan. Akin to the engine that runs a machine, your operating plan runs the machinations of your business. Not having an operations plan in place often results in dire consequences with nothing of importance being accomplished, including meeting benchmarks, short-term goals, and long-term goals. The absence of an operations plan renders a business and its activity stagnant. The overall importance of the operations plan translates into increased time and effort needed to complete this section of the business plan. The operations plan section should be robust and filled with a multitude of details, instructions, and directives – it is the veritable blueprint that serves to guide people within the business’s day-to-day operations. A business’s management team and assemblage of employees should be able to easily refer to the operations plan when seeking guidance in implementing new strategies, tasks, and performance measures for the ongoing viability of the company as a whole. While the operations plan section of a business plan is sizably larger than the other sections, an easy and effective method of completing it is to combine it with the Team and Management section listed below. You can then rename it as the Operations and Management Plan, subsequently writing the details for the section by creating a chart that shows the title of employees and managers and their respective duties, responsibilities, and supervisorial capacities. This section discusses the various people who comprise the management team and ownership of the company. Readers from within and outside the organization should be able to clearly, and easily, identify the people who are in charge of the business and how the business hierarchy is constructed. While this section does not need to be lengthy or overly complex, the scale of the writing remains dependent on the sheer size of the company and the number of owners, partners, and upper management personnel that exists. As such, the team and management section of a business plan written by a sole proprietorship will be significantly shorter than the same section written by a sizeable company with key members, i.e. a board of directors and multiple management teams located in multiple offices. Regardless of length, the team and management section of your business plan should always clearly list the owners and managers. This serves to remove any confusion about the figures in charge of the organization, which is a benefit for employees, customers, and people new to the enterprise. Additional information pertaining to the company should include the points listed below. Dependent on company-related specifics, the depth and breadth of each bullet point may vary in terms of overall length. Along with naming the owners and members of the management team, be sure to include a description of the particular role each person plays in the operation of the company. This should include this person’s compensation and respective benefits in addition to a brief biography listing the qualifications and skills each individual has. The financial projections detailed in this section are much more than just brief hypotheses on how your company will fare financially in the future. Rather, the financial projections section is a detailed account of your company’s projected financial picture based on your careful data-collection and research efforts which have given you an understanding of your company’s position in the market in relation to that of your competitors. The financial projections section provides readers with a capsule view of where your company was historically and where it’s heading to in the future – with an emphasis on the growth of profits and finances that are facilitating that upward journey. Companies that have been in existence for years typically include the financial data detailing their past performance. As a side note, it’s worth noting that most venture capitalists, lenders, and banks will require up to three years of financials, with many requesting up to five years in order to get the most accurate snapshot of overall performance. When writing this section, include financial data such as income statements, cash flow statements, balance sheets, and other related material such as accounts receivable statements, accounts payable statements, and documented debtor obligations. Additionally, the projections made must always include supporting data through diligent research and analysis of the many components involved, including competitors, the industry and market, and the products and services involved. The absence of a financial projections section of the business plan results in a lack of direction, a sense of stagnancy, and no clear-cut goal to work toward. Regardless of a company’s years in business, the financial projections section is an imperative component that must be addressed to support a reasonable projection of the future financial picture for the company. Company assertions made about things that could influence projected financial figures (example: factors like future market trends) ought to be thoroughly explained in the financial projections section. Inevitably, there will be people from outside the company who will want to view plenty of supporting evidence and documentation of the financial projections made by the business. Adding these documents are of immense benefit to owners, as they provide security for future discussions with lending entities, while also providing the business plan with integral information, rendering it complete, polished, and professional in scope. Support for financial projections can be achieved through charts, graphs, credit history, or even reference letters. Essentially, anything that a company and its owners believe will add credibility to financial projections should be added to this section. Consider adding financial projections information in the appendix section of your plan for ease of reading and the purposes of creating a neat and organized document that flows. While the information and documentation used to support the many strategies, assumptions, and protections within a business plan are found in the body of each specific section, the appendix differs in that it typically contains financial information that business owners want to limit access to. As an example, a company preparing a business plan with the intent of obtaining lender financing could utilize the appendix as a means to submit tax returns and confidential data, such as credit history information, just for the eyes of the requesting lenders. The appendix can also be used as a means to organize supportive data, photographs, reports, and any other information that can potentially exceed more than a few pages. Your appendix should always commence with a clearly articulated table of contents with each section specifically corresponding to the related business plan section. While it’s possible that the appendix might contain some information pertaining to only a few (not all) sections of the business plan, the appendix should nevertheless always be situated after the very last section of the business plan. Your business plan is the essential foundation of your business. Learning how to write a business in a practical, efficient, and compelling manner is among the most important things you can do when starting up your business. Your business plan functions to assist you in operating your business. It creates the rules, guidelines, and distinct protocols needed to outline business activity; internal and external environmental factors; owner, management, and employee duties and responsibilities and so much more. Assisting you in navigating the many key elements of your business, the plan that you create is a document full of research, careful consideration, and data collection. This ultimately produces an assemblage of information that conveys the present position of your company and how you intend to create optimal positionality for your company in the future. The importance of having a business plan in place is paramount and cannot be underscored enough. It not only helps you run your business, but it is the essential roadmap or blueprint that you and your workforce will follow for years to come as you work to stake your claim in your respective industry and the marketplace at large. 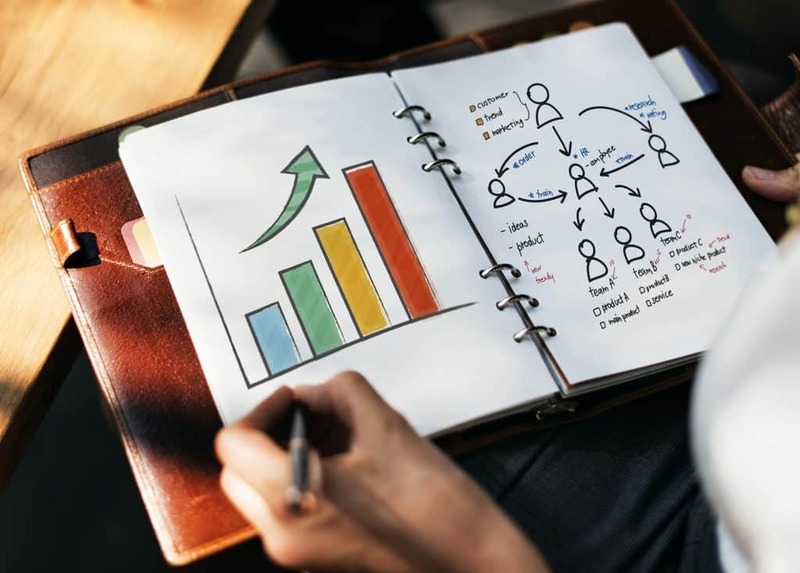 A well-crafted business plan will not only guide you through each stage of beginning your business but will also assist you in managing each aspect of your operations, resulting in reliable and continual growth. It goes without saying that a business plan is the very foundation of your company and its entrepreneurial endeavors. However, as mentioned earlier, the business plan that you craft is akin to the motor that powers a machine. In the case of your business, it is the machine, and your business plan is the motor, powering you to new and exciting horizons full of blooming success and countless accomplishments. As the owner and founder of your business, you are at the forefront, the helm. Captaining your vessel, you can use your expertly written business plan to steer your way to unchartered territories full of achievement, success, and so much more. Entrepreneurs and small business owners can find a great resource in the Small Business Administration (SBA). 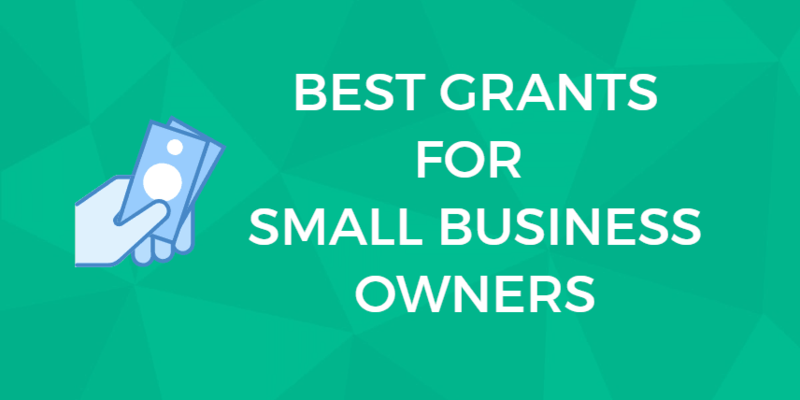 The Small Business Administration is among the most venerable and trusted organizations for the counseling and assistance of entrepreneurs and small business owners today. Their website is chock full of advice, tips, services, and referrals for all the things small business owners need to be aware of to keep their organizations running smoothly. For those entrepreneurs who are just starting out, the SBA has an extremely helpful Business Planning Tool on their site that provides small, medium, and even larger businesses with an easy to understand step-by-step guide. The guide will help you with the process of creating your very own business plan filled with all of the specific information, facts, and data related to your company. Conveniently, the Business Planning Tool lets users save their plans online for future updates and editing, or users can download them into PDF files. The SBA’s planning tool for businesses has been heralded by countless online reviewers as among the best and easiest to understand. It enables users to work at their own pace, save, edit, modify, download, and even share the plan with others. Aside from the Small Business Association, there are a wealth of other organizations devoted to helping entrepreneurs and small business owners become successful. Among the most noteworthy are mentors from SCORE, the Women’s Business Centers, and the Small Business Development Center. A Model for Industry Analysis: Here, QuickMBA discusses “Porter’s Five Forces,” which are Rivalry, Threat of Substitutes, Threat of New Entrants, Buyer Power, and Supplier Power. It’s designed to help business managers get an edge over rival firms by better understanding the industry in which they’re operating. Environmental Business Analysis: This article from Chron delves into more detail about your environmental business analysis and what this should entail. 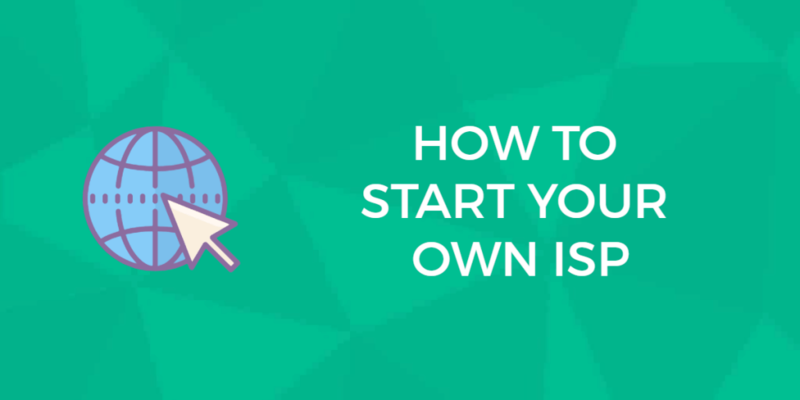 Start Your Own Business: If you’re at the beginning of your journey as a business owner, this great resource from USA.gov provides detailed information on what you’ll need to do to start your business and what programs may be available to you. Business Plans for Different Industries: Many business plan templates are general, but these ones from the Carnegie Library of Pittsburgh cover a wealth of different industries from agricultural and real estate to tourism and retail. Strategy Innovation & Training: Here you’ll find many helpful guides to help you with your strategy development, including information on SWOT analyses, business planning and marketing strategies, implementing strategies, and contingency management. Business Plan Resources: SBDCNet provides an extensive list of great business plans, tips, and tricks for a range of different industries. SCORE Templates: SCORE provides an array of tools to help you take your next step toward business success. These include finance templates, marketing and sales templates, and management templates. Updating Your Business Plan: This article from Entrepeneur.com offers valuable insight into why you need and how you should update your business plan regularly. The Business Plan Disconnect: Despite all of the information that’s available, businesses still go wrong – and this article explains where this happens and how you can avoid these same mistakes. Highlight: Great for those who are looking for financial backing from board members or external organizations. Highlight: Provides insight into what loses an investors interest when they’re reading your business plan. Overview: Sahlman believes too many business waste time talking about numbers, omitting important information that’s crucial to investors. This book shows you how to avoid those common mistakes, assessing the factors that are at the heart of every successful venture. Highlight: Targeted at the future entrepreneur who wants to grasp the feasibility and critical issues involved in setting up a business. Overview: From the questions you need to ask before you launch a business to where you should be spending most of your money and time, this book covers all the essentials required to start your own business. 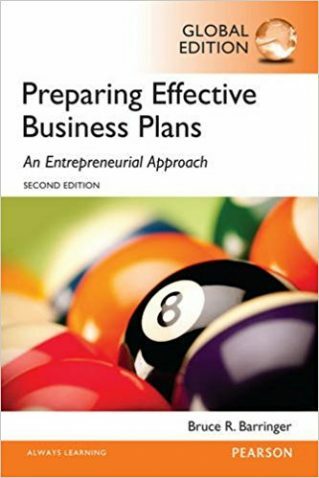 It also offers a practical guide to creating a business plan with some examples, too. Highlight: A simplified approach to the process of business planning. Overview: Offers step-by-step guidance on every stage and situation of a business, showing readers how to ignore those formal, traditional style business plans in favor of a tailor-made approach.